Sometimes one can go overboard with their living room designs – new this, new that, ultra contemporary décor and even more contemporary furniture. Sure, it looks great, but often it can leave one feeling like something is missing. Why is that? Well, for a living room to truly feel like a living room, it needs to feel like a space that’s actually lived in and not a facsimile of a glossy design magazine photograph. It’s for this reason – and several others – that the “shabby chic” design concept has become exceptionally popular for living rooms. As the name implies, this design style is able to straddle the difference between contemporary design elements and a rustic or antiqued feel. A shabby chic living room, as a result, ends up looking at once modern and current, while at the same time lived-in, airy and comfortable. We think you can probably understand the appeal! 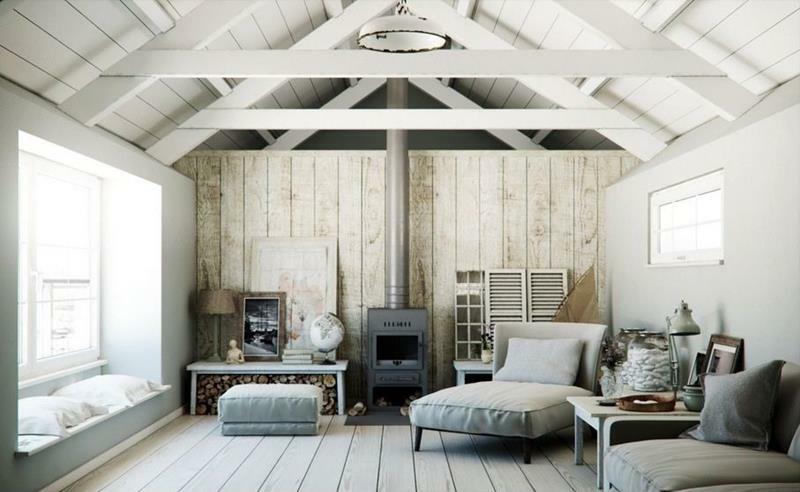 If you think that a shabby chic style might work well for your living room – or perhaps other living spaces in your home – then we’d encourage you to check out the 23 examples that follow. They’ll give you an understanding of the elements that make up the shaggy chic style and not doubt some ideas for how you can capture this vibe within your own home! 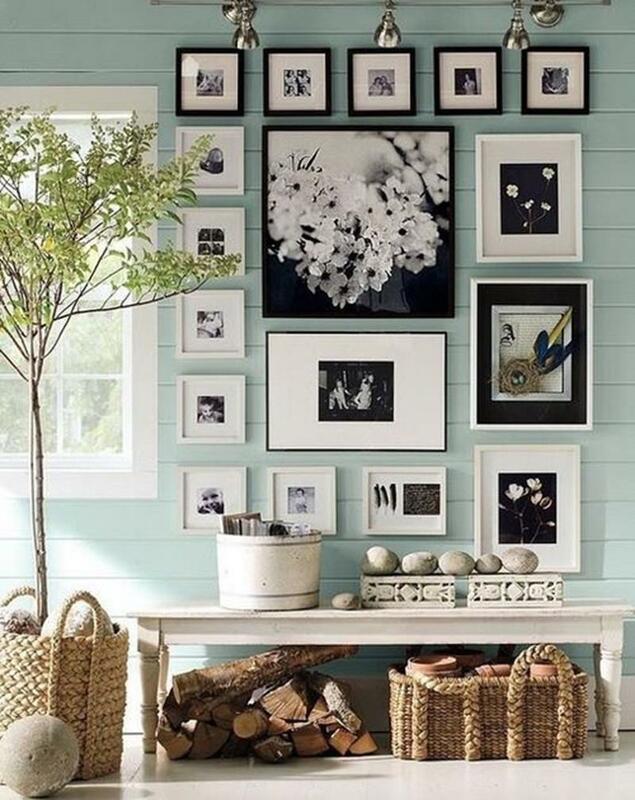 The right colors are very important for the shabby chic style; note the use of light blue and white here, which is combined with wicker décor and black accents. 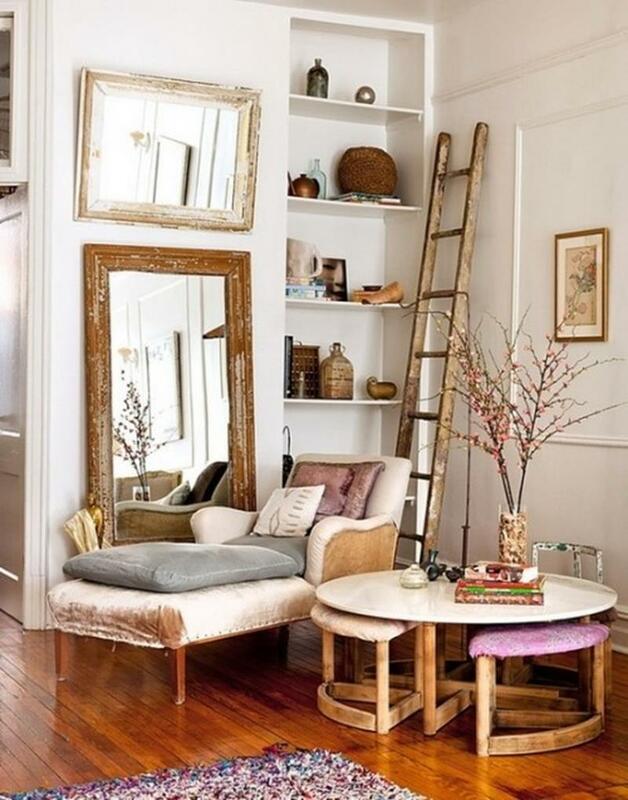 When selecting décor items for a shabby chic living room, always look out for beautiful distressed or antiqued pieces. The reclaimed wood accent wall behind the stove in this beautiful shabby chic living room makes the space.